A schematic of a basic solar air heating system with a pebble bed storage unit and auxiliary heating source is shown in Figure 6.11. In this case, the various operation modes are achieved by the use of the dampers shown. 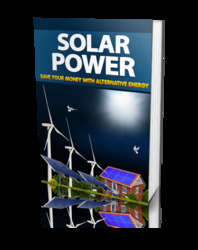 Usually, in air systems, it is not practical to have simultaneous addition and removal of energy from the storage. If the energy supplied from the collector or storage is inadequate to meet the load, auxiliary energy can be used to top up the air temperature to cover the building load. As shown in Figure 6.11, it is also possible to bypass the collector and storage unit when there is no sunshine and the storage tank is completely depleted and use the auxiliary alone to provide the required heat. A more detailed schematic of an air space heating system incorporating a subsystem for the preparation of domestic hot water is shown in Figure 6.12. For the preparation of hot water, an air-to-water heat exchanger is used. Usually a preheat tank is used as shown. Details of controls are also shown in Figure 6.12. Furthermore, the system can use air collectors and a hydronic space heating system in an arrangement similar to the water-heating air system described in Section 5.2.3 and shown in Figure 5.14. FIGURE 6.11 schematic of basic hot air system. FIGURE 6.12 Detailed schematic of a solar air heating system. systems are common in the building services industry. Control equipment that can be applied to these systems is also readily available from the building services industry. Further, added to the disadvantages of water-heating air systems (see Section 5.2.3) is the difficulty of adding solar air conditioning to the system, higher storage costs, and noisier operation. 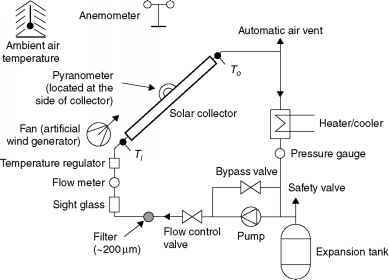 Another disadvantage is that air collectors are operated at lower fluid capacitance rates and thus with lower values of FR than the liquid-heating collectors. Usually, air heating collectors used in space heating systems are operated at fixed air flow rates; therefore the outlet temperature varies through the day. It is also possible to operate the collectors at a fixed outlet temperature by varying the flow rate. When flow rates are low, however, they result in reduced FR and therefore reduced collector performance.